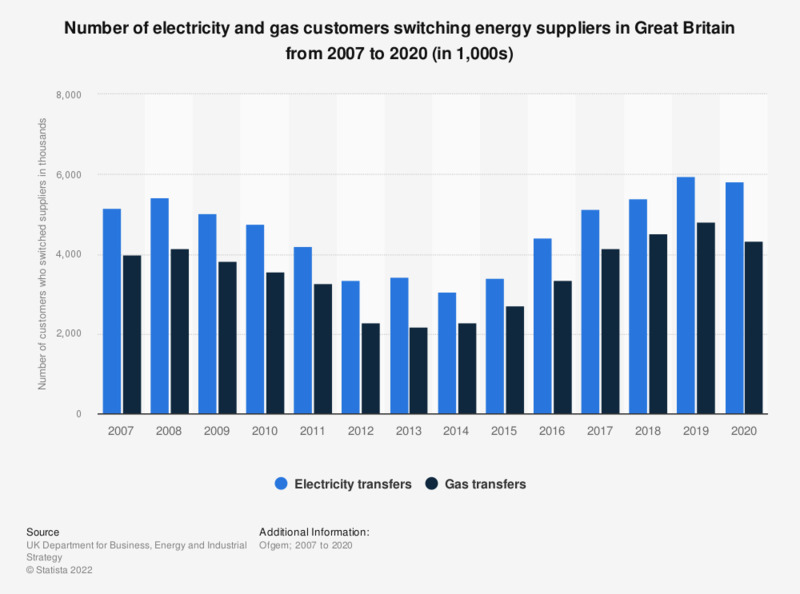 This statistic shows the annual number of electricity and gas customers switching suppliers in Great Britain (GB) from 2007 to 2017. There was a similar pattern for both electricity and gas switches during this time period, with electricity switches always higher than gas switches. There was a steady decline for both gas and electricity switches from 2008 to 2012, with both making a recovery from 2014 onwards. All numbers rounded to the nearest thousand. According to the source, prior to June 2012, data was presented as average monthly transfers for each quarter. Everything On "Energy supply switching in the United Kingdom (UK) " in One Document: Edited and Divided into Handy Chapters. Including Detailed References. Statistics on "Energy supply switching in the United Kingdom (UK) "
Thinking about the last time you switched your electricity supplier, how did you switch? In the last 12 months, have you switched your gas supplier? Thinking about the last time you switched your gas supplier, how did you find out about the deals offered by the supplier you switched to? Which of the following describes what you plan to do in relation to your gas and electricity supplier in the next year? Thinking about your gas and electricity supplier, which of the following best describes your current situation? Thinking about the last time you switched an energy supplier, which of these did you switch?